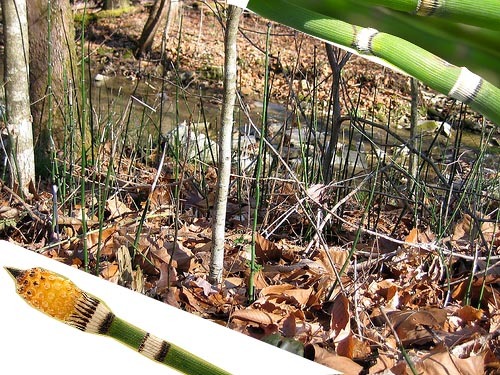 Additional uses: The cell walls of Equisetum species are impregnated with silicon dioxide. They were used by native populations on the coast primarily as abrasives for polishing wooden objects including canoes, dishes, and arrow shafts. Various tribes used the rhizomes to decorate baskets. In Europe the scouring rush was used to hone the reeds of woodwind instruments (Pojar 431).